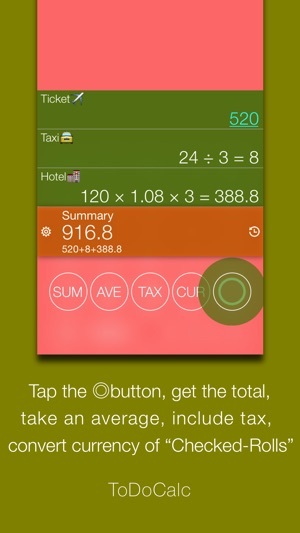 ToDoCalc is an intuitive and visual calculator application developed with the theme "easy to use, stylish, and simple." Make every day calculations for memo taking, bookkeeping, business negotiations, work, meetings, studying, vacations, hobbies, etc. more simple and efficient. This application may be the perfect "calculator" you have been looking for. All calculated history expression is recorded as memory, it will start a new calculation. Also, edit the title and the recording date and time of each memory respectively, replacement of memory itself is also possible. By selectively to a plurality of memory depending on the application, you can take a record of household accounts by the date and time, you can also be collection your own original calculator. Others, also becomes possible edited by horizontal scrolling of the main role, we conducted a change of other various specifications. ToDoCalc is a calculator with memo functions, it records formulas in "Rolls", you can leave memos, check and delete formulas, and move your rolls around. Another feature is the "◎" button which allows you to sum, average, add tax, or currency convert your checked rolls. 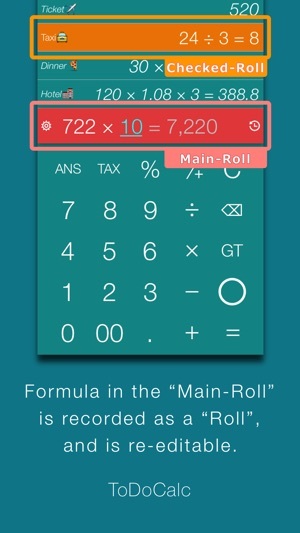 This simple combination of "Rolls" and "◎" buttons advances how you use a calculator to new dimensions. Even if you are satisfied with previous calculators, try using this calculator once. 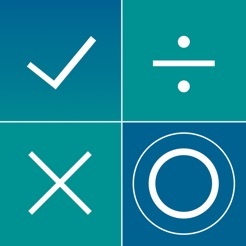 The more you use "ToDoCalc", you will realize its potential and you will not be able to go back to previous calculators! 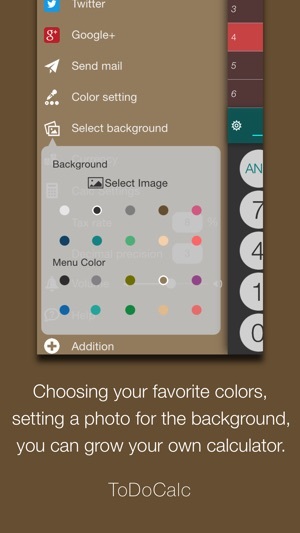 You can make your favorite picture your wallpaper or change the color and transparency of the background and fonts. You can fully customize your calculator by enjoying the wide variety of skin colors. We also have a for sale version of the application that has no in-app advertisements and allows for up to Unlimited roll & 50 memory. 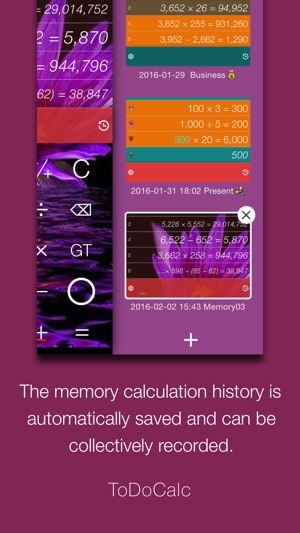 - In-app advertisements & Allows for use of up to 20 rolls & 5 memory. - No advertising & 100 roll available. - No advertising & 30 memory is available. - No advertising & Unlimited roll & 50 memory is available. 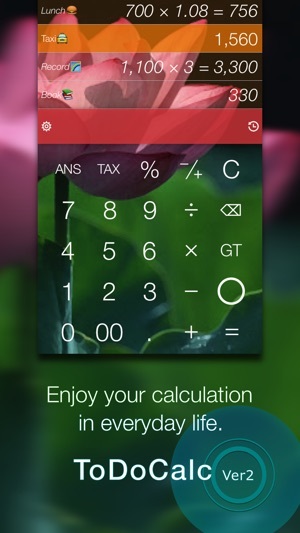 We are planning on making more updates to make the calculator application even more useful to use. Please stay tuned to our development progress.Thank you for your support! "ToDoCalc" has been updated to version 2.1 !!! To improve the roll re-edit function and menu screen and is appreciated by all means available "ToDoCalc" became more convenient ! !